A remarkable movie about men who are terrified of women. 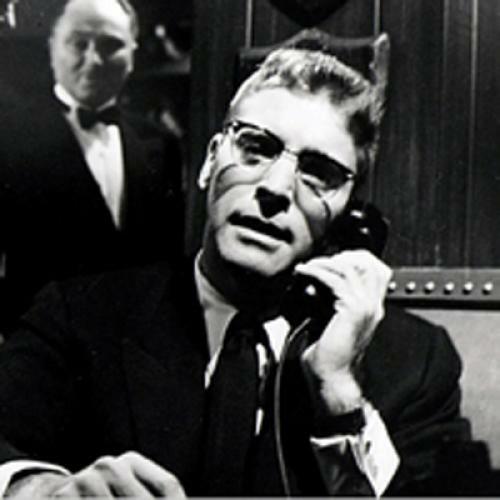 Nobody had seen or heard anything like the first half of Sweet Smell of Success in 1957. It wasn’t just the way the picture went out onto the streets and into the bars of Manhattan, letting cameraman James Wong Howe get his best stuff at dawn and twilight. Film noir had made hay with darkness for ten years, but still, you didn’t get a lot of real night in American pictures. Here it was, and here were the nocturnal creatures who thrived on it: Sidney and J.J., a new kind of double act in an age famous for Dean Martin and Jerry Lewis. The picture was a disaster when it opened: It did no business; it got no nominations—not even for Howe, let alone Tony Curtis or Burt Lancaster, or the gang of writers who found a way for them to talk. The production had been painful. Director Alexander Mackendrick (born in Boston but raised in Glasgow and the British film business) was a stylist and a perfectionist, brave enough to challenge Lancaster (whose company, Hecht-Hill-Lancaster, was making the picture). Ernest Lehman had supplied the basic material and some script, but the very famous or nearly washed up Clifford Odets had been kept in a trailer on the streets at night, typing out dialogue for the guys to use as poison darts. It’s a celebrated picture now, so I hardly have to tell you the set-up: J.J. Hunsecker is a powerful New York gossip columnist. The legend says he’s based on Walter Winchell, but I think he comes largely out of the writing, Burt’s urge to intimidate everyone, and the strange chemistry he got going with Tony. Curtis is the freelance press agent, Sidney Falco. Today, we see handsome snakes in the grass in every media garden (indeed, they are the grass), but truly, this smiling wickedness was quite novel in 1957, and it showed Curtis’s reckless ambition that he wanted the part. Their scenes together changed film. It wasn’t just the wise-cracking chat, “the cookie dipped in arsenic” stuff. It was their intimacy in evil and the power game they played. It was the sado-masochistic trip they were on and the subtle ways in which loathing and contempt veiled need. That’s the film old-timers treasure and the one young people in the picture business—Entourage types—still quote from. But it’s not the whole film, and that’s still a problem. The story needed some conventional dramatic crisis—it didn’t dare to be simply Sidney and J.J. tearing the wings off one another. So J.J. has a sister, Susie (played badly by Susan Harrison), and he is obsessed with her. Why? It is beyond reason or belief. She is a very dull girl, and J.J. does not exist “at home” or en famille. He is a creature attached to his prized table at the club and a king rat dependent on the stink of the streets and newsprint. But the film tries to persuade us that J.J. can’t endure the thought of her getting involved with a boyish, white guitar-player in a local “jazz” group so cool they have freezer burn. I put the word jazz in quotes because the film’s version of the Chico Hamilton Quintet—they are really there on screen, being impossibly quiet and tasteful—is not my idea of jazz, just as Martin Milner, the actor who plays the boyfriend, “Steve Dallas,” might just get by on tambourine in a Boy Scout band. In other words, the foul-smelling authenticity of the first part of the film is air-freshened away by this awful plot and its boring people. Real fans of the picture try to forget it and long for a reprise of those early two-shots of Burt and Tony looking for a soft place to plant the next needle and trashing the human race. It’s not worth complaining. Mackendrick was a stranger in town. Hecht-Hill-Lancaster was coming off the coup of Marty and its Best Picture Oscar. Odets was writing to prove himself—he’d be dead in just a few years. Curtis knew it was a golden moment for him. And, when Burt wasn’t threatening to beat people up, he was uncannily still and coiled as Hunsecker—as a rule, he was a very athletic actor. But his being clung to his horn-rim glasses and his air of immaculate control. Mackendrick got away with it. He went at least $1 million over budget, and, more or less, he kept his preferred ending. What the picture needs in hindsight is a bold vision ready to ask, “Well, what is this really about?” And here, we’re into an area that was more perilous in 1957 than shooting on the streets at twilight. It’s not just that Sidney and Hunsecker are joined at the hip, partaking in the same cross-talk conspiracy. They can’t really survive without each other. How could they talk to anyone else in the world? And I don’t mean that in a strictly professional, journalistic way. Emotionally, they are married. Their elaborate interplay of insult and humiliation is deeply satisfying. This ought to be a film about two men who are in love with hating each other. It’s more than the possibility that they thrive on a repressed homosexuality. It’s that their way of dealing with the world, through power, black humor, and manipulation, is part of an emotional design. If it helps to make this clearer, I’d suggest that the underlying pattern, the affinity, is one that we will see later in, say, Butch Cassidy and the Sundance Kid, and with Michael Corleone and his associates in The Godfather films. To take it just a little further, we are edging into this aspect of cronyism in American movies—of the guys hanging out together, in safe company, ripping everyone else to bits with cracks—out of some palpable terror of women. No, of course I’m not saying gays are afraid of women. I’m suggesting that a lot of American heterosexual men feel that dread, and, 50 years later, I think that’s the odd smell—sweet and —that rises off this remarkable, if inadvertent movie.